The Canadian Conference on Computational Geometry (CCCG) was founded in 1989 by a group of computer scientists with a passion for computational and combinatorial geometry. The first meeting was conceived by David Avis and Godfried Toussaint. It was held at McGill University in Montreal and hosted over 180 attendees from different countries across the globe. The opening lecture of this first conference was given by Paul Erdös. This year, the opening Paul Erdös Memorial Lecture will be given by one of his close friends Ron Graham. CCCG is held annually to this day at various universities across Canada. These annual meetings attract a large number of students and have the informal atmosphere of small workshops despite their size. The conference concentrates on both theoretical and applied results on problems that have geometric nature. The main focus is on problems in discrete and computational geometry with solutions that range from efficient algorithms to abstract mathematical results. This year, the 20th Canadian Conference on Computational Geometry will be held between August 13--15, 2008 at McGill University in Montreal, Canada. Photos from the McGill CGM Lab archives . 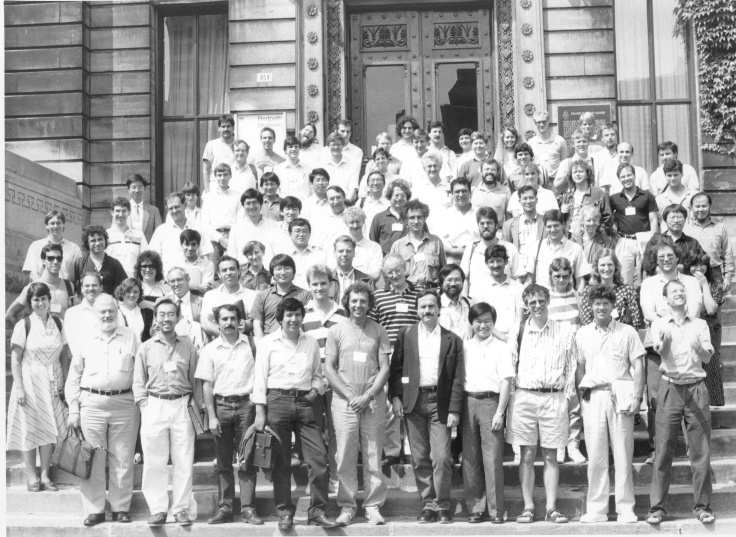 Group photo of the first CCCG, held at McGill in August 1989. The picture is taken at the entrance of the Redpath Museum. Imagemap courtsey of Will Evans. 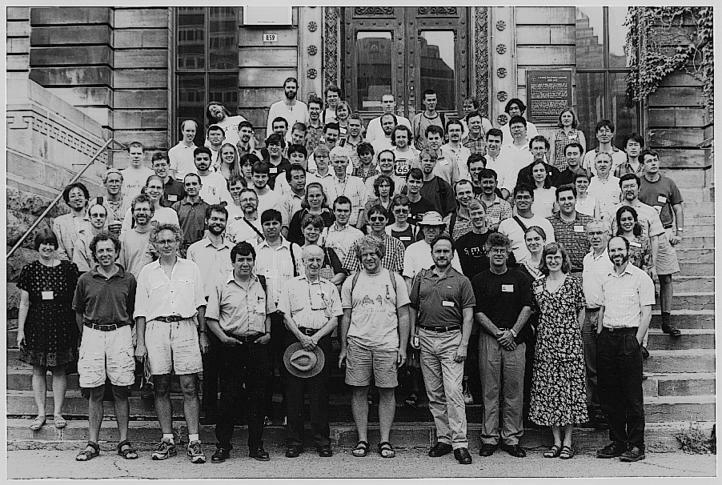 Group photo of the 10th CCCG, held at McGill in August 1998. The picture is again taken at the entrance of the Redpath Museum. 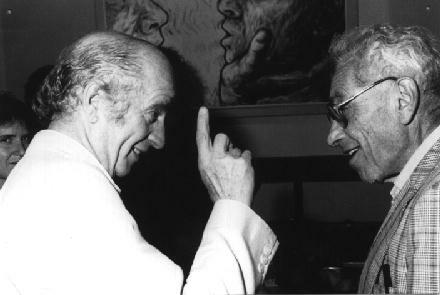 Willy Moser and Paul Erdös at the first CCCG.